The Packers schedule is very favorable throughout the season, which will make it easy for them to regain the division title. 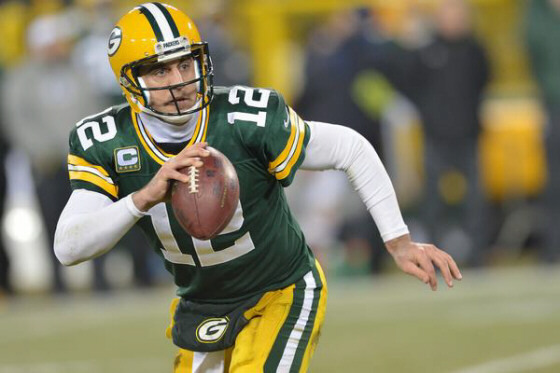 Aaron Rodgers is an elite quarterback, and the return of Jordy Nelson to go along with Randall Cobb will have this passing game hitting on all cylinders. Eddy Lacy had seemed trimmed down but reports are he has found the weight again and that is something that needs to be monitored. Clay Matthews is still an efficient pass rusher on the defensive side of the ball. Look for Ha-Ha Clinton Dix to continue to improve and be in discussions for an All-Pro award at the end of the season at safety. Detroit quietly finished the year strong last season after a terrible start, so they will be longing to avoid a disaster at the beginning of the year again. Jim Caldwell is a very good coach and gets his players focused and ready. The departure of future Hall of Fame wide receiver Calvin Johnson is really going to hurt this team however. The strength of the Lions throughout the years has been the offensive game with Stafford going to Johnson so Golden Tate will have to fill that void. Ezekiel Ansah continues to grow as a pass rusher, and I expect that trend to continue. DeAndre Levy is a very underrated linebacker and a lot of the bad start last season was because of his lack of availability. As good as a coach John Fox is, Jay Cutler is too inconsistent to get this team to a winning record. Alshon Jeffery has to have a bounce back season for the passing game to flourish. Matt Forte was an integral part of the offense, and he is now in New York. Kyle Fuller is a solid cornerback, and Chicago has solid professional players throughout the rest of the defense. John Fox can coach a defense but the unit, as a whole, is solid not spectacular, which they would have to be to help this offense. If Jay Cutler has a consistent season, this offense could become very good.